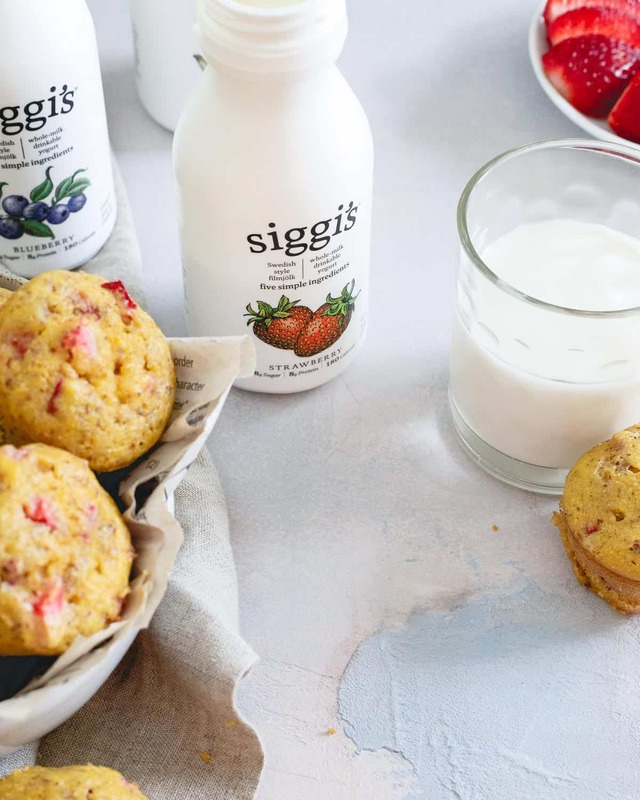 When you need a healthy breakfast on the go and have little time to prep, these siggi’s whole milk drinkable yogurt varieties are a great option! Is it weird to say that one thing I sometimes miss about working outside my house are those crazy busy, rushing out the door, trying not to trip in your heels mornings when you’re lucky if you actually remembered to feed the dog? You’re probably saying “yes, that is weird.” But, that’s why there was a “sometimes” prefacing it all. Don’t get me wrong, I thoroughly enjoy the more relaxed sweatpants/pj wearing mornings of working on the couch. But sometimes, just sometimes, I’m nostalgic for that whirlwind start to the day. It kind of just makes you feel a bit more important than the sloppy, bra-less computer work ones. Ya feel me? The only problem with those mornings is food. I may have salvaged a couple minutes to make myself coffee (um…priorities, duh) on those kind of days in my previous life but breakfast was a whole different story. 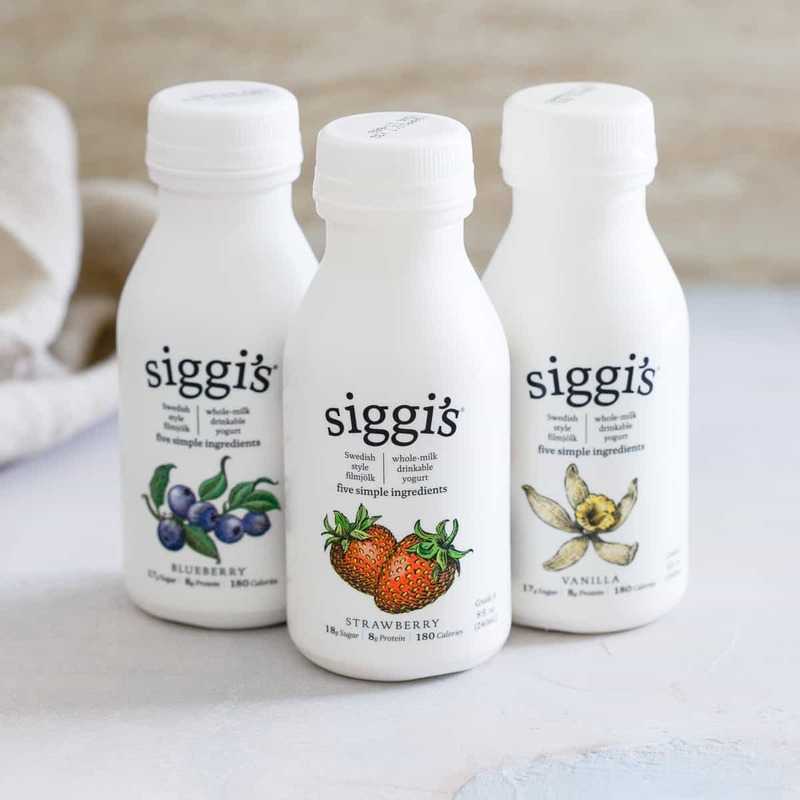 When I got to try these siggi’s whole milk drinkable yogurt flavors, those days are exactly what came to mind. With three varieties (strawberry, blueberry and vanilla), just 5 simple ingredients, not a lot of sugar and most importantly, a taste totally on point in that perfect yogurt balance of not too sweet and just tangy enough, it’s like they were just made for those kind of chaotic mornings. Texture is key for me in foods. 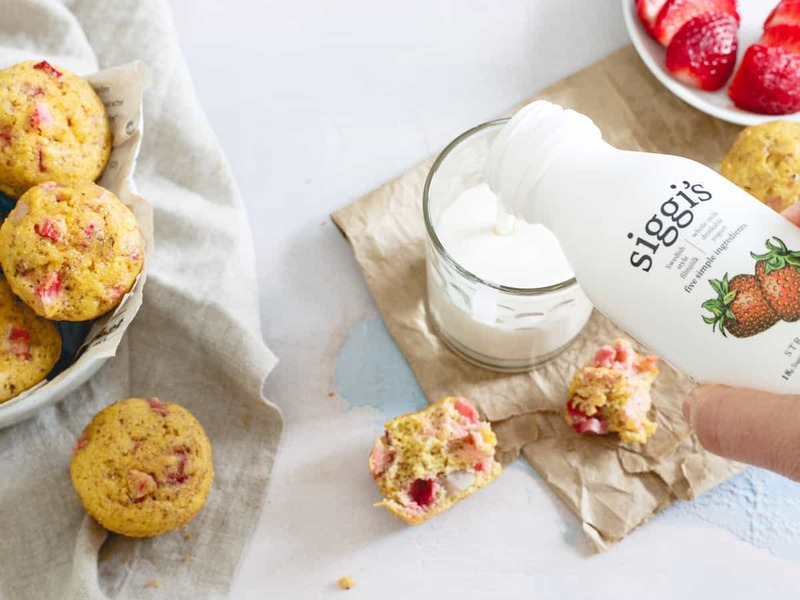 It’s one of the reasons I love these strawberry corn muffins so much actually. Their half corn meal, half almond flour heartiness totally steals my heart. It’s also one of my favorite things about these siggi’s drinkable yogurts. When food that’s normally supposed to be chewed (or at least eaten with a spoon in this case) is touted as “drinkable” my first reaction is “hmmm, what’s that gonna be like?” To use a big word I probably haven’t since high school science class, the viscosity of these is perfect. Not too thick, not too thin, but a Goldilocks kind of juuuuust right. So all you texture freaks out there need not worry, it’s on point. Luckily, despite not having many of those rush out the door type of mornings these days, I still have plenty of occasions for simple snacking (hello, post workout grub!) that these have been working wonderfully for. With a healthy dose of protein, satiety from the whole milk fat and a balanced carb profile, I love how easily these fit into my macros for the day, all with just 5 ingredients I can pronounce and feel good about drinking. 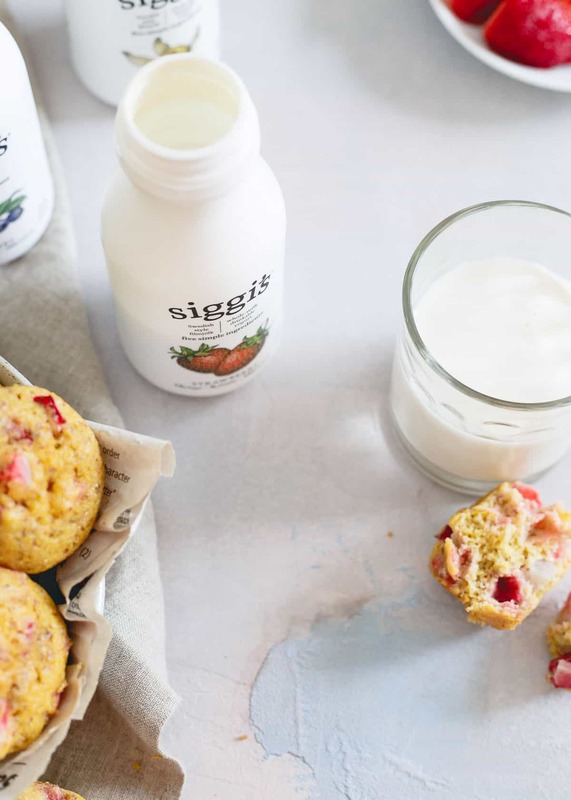 *This post for siggi’s whole milk drinkable yogurt is sponsored by siggi’s. All opinions and content are my own. Haha, yes, coffee in the AM is priority #1! Love this for a quick grab-and-go and like you said, post-workout. Siggi’s is one of my favorite yogurt brands! That stuff is SOOOOO good!!!! I first discovered Siggi’s years ago. I was so excited to find skyr at the grocery store! I can’t wait to try this. Yessss, I love this! Siggi’s is the best. Great idea for a quick, easy and healthy on the go breakfast! totally going to look for these at the store! I love siggi’s!!! This is such a lifesaver for busy mornings! And I know what you mean about the days when you used to have to get out the door. This makes me want to get my hustle on. I like to take tea in the morning and coffee in evening. Meanwhile in summer’s is usually prefer yogurt to keep my body cool. Never heard of siggi’s yogurt gonna try it some day.